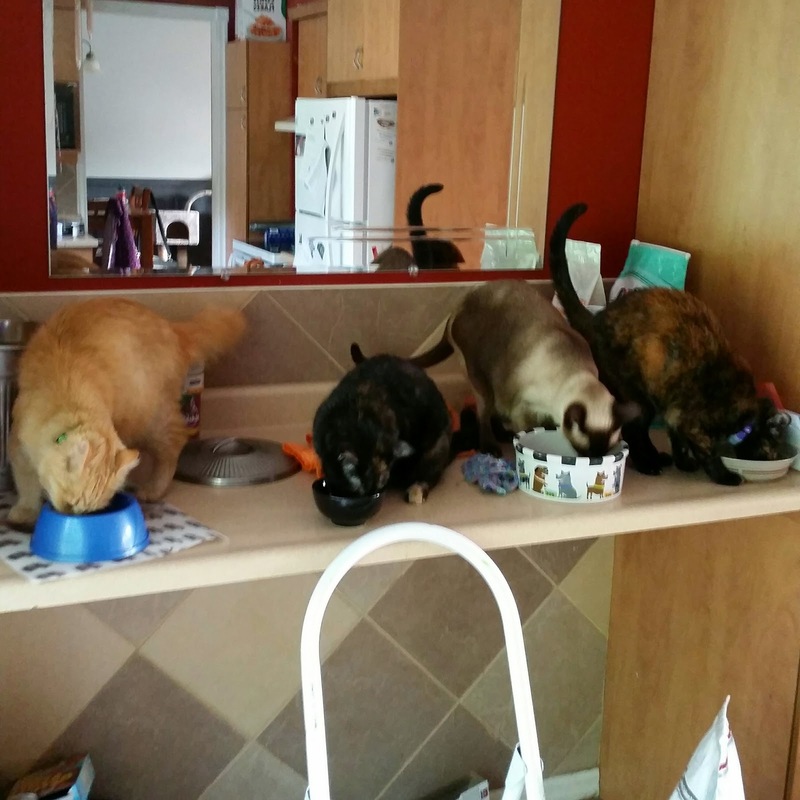 Our Cast of Cat Characters gather together for breakfast daily. From left to right they are Lawrence, Mika, Wizard, and Rosie. Yes, it is like feeding time at the zoo.